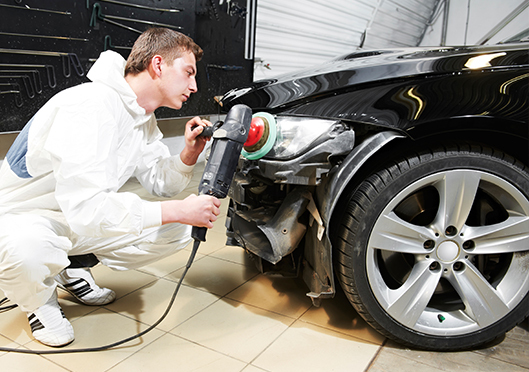 The collision repair process isn’t a mystery at Grieco Collision Center. Here is what you can expect after setting an appointment with us. Depending on your service, not all steps are required. Before services are rendered on your car we provide you with an estimate. In the Estimate Process, the vehicle is inspected and relevant data is entered into estimate computer systems. This data is compiled into an estimate that determines the cost of repairs. Estimates will not include any hidden damage that cannot be seen until disassembly. Delivery is the last step in the repair process. When you arrive to pick up the vehicle, the bill is explained and final paper work is completed. You can drive away in your vehicle that has been restored to its pre-accident condition! We’re always excited to answer any questions you have, at any time during the collision repair process. Give us a call or contact us today!